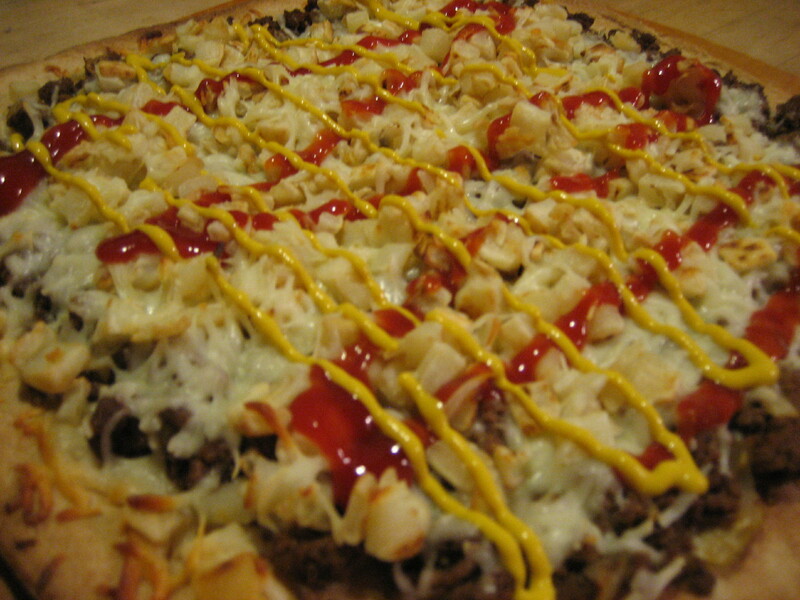 The Garbage Plate Pizza I created in 2010 received pretty solid reviews from Andrew, Tyler, and the guys installing our new floor, but I knew my recipe would benefit from eating an actual Garbage Plate at Nick Tahou’s Hots. 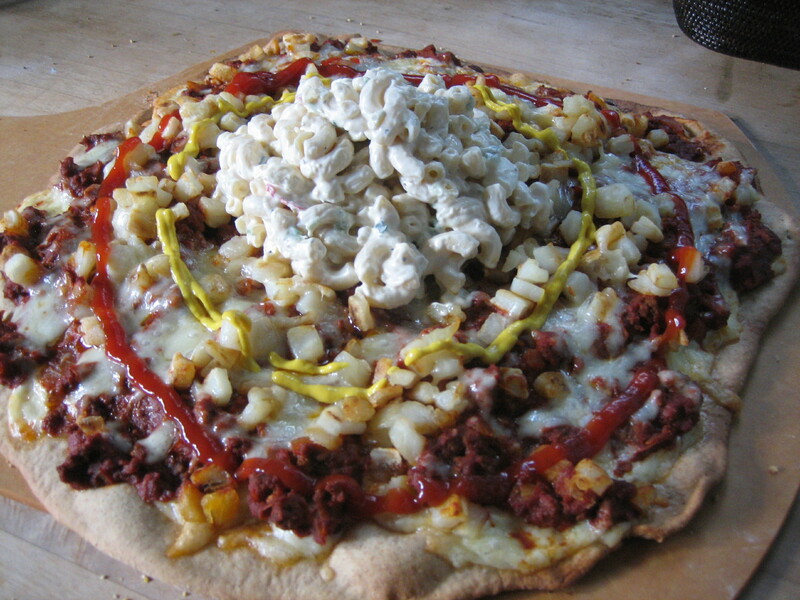 For my second attempt at the Garbage Plate Pizza I needed to figure how to improve the hot sauce. I figured out that I needed to cut the tomato paste, use less all spice and cinnamon and more black and cayenne pepper. The other important ingredients include paprika, chili powder, cumin, and salt. Note that the photo was taken before I put mac salad on the pizza. I put the Garbage Plate pizza out at a small get together and it went fast. Everyone from Rochester really appreciated it; those from out of town really wondered why we were devouring pizza covered in ground beef, home fries, and mac salad.